Applying for a small business loan can be a nerve-wrenching process. From determining how much to borrow, what to borrow money for, and who to borrow from, there are many decisions to be made that can determine your application decision, interest rates and terms, or the type of collateral necessary. Luckily, today’s modern, online environment makes applying for a business loan easier than it has ever been. Most online lenders will get your application decisions back to you quickly – some even on the same day, some in as a little as a couple of hours. Most online applications include a simple online application, which reduces the burden of applying for small business loans. 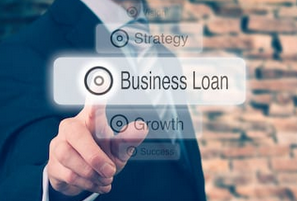 In this article, we are going to cover 4 places to apply for a business loan online. With any underwriting product, you’ll want to make sure to do your diligence with each. We recommend looking at reviews online, checking the Better Business Bureau rankings, or do a simple web search to see what you can learn about different lenders. Each lender is going to put a different emphasis on credit history, collateral, and your business plans. SMB Compass is a fast-growing business financing company that puts emphasis on making funding available for small businesses. With a philosophy that small businesses are the be backbone of a strong economy, SMB aims to provide flexible and cost effective solutions for small business owners. SMB offers expertise in SBA lending, asset-based and equipment lending, and a variety of alternative financing products. OnDeck was founded in 2007 with the goal of providing capital to small businesses. Their philosophy was that lenders should evaluate actual business performance rather than only looking at personal credit. Since then, OnDeck has delivered over $10 billion to businesses across the globe. With an A+ rating with the Better Business Bureau, and 9.8/10 ratings on TrustPilot, OnDeck provides a quick, easy online application to get you a funding decision in as little as 24 hours. Kabbage was created in 2009 to provide small businesses quick funding online. Kabbage cites their technology platform, which uses a variety of business operations to understand business performance. Kabbage has provided over $5.6 billion in funding to small business owners. With offices in Atlanta, Denver, San Francisco, New York, and Bangladore, Kabbage has collaborated with business owners all over the world to bring an international perspective to small business lending. Fundera has provided over $850 million to over 10,000 small businesses. Established in 2013, Fundera aims to be the ultimate go-to resource for small business owners. Fundera partners with different brands in business finance, technology and education to provide small business owners the tools and advice they need. In addition to resources about different loan products and lenders, Fundera connects small business owners with lending specialists to explore options. Their experts will walk you through the application process and discuss which options are best fitted for your situation and business needs. © Copyright 2011 - 2018 Finance Buzz - www.financebuz.com. Powered by Blogger.